Darkness, Snow, Water/Ice, Fire, The city and Love. The fusion of different elements will be something completely unique especially with Greenland as creation and performance location. between 20 and 30 professional performers and technicians from 7 different countries will participate as well as local groups and organizations. The show will be presented in Nuuk, Greenland on the 30th and 31st of August 2014. It will be located in the Colonial harbour in central Nuuk. The stage will on water, land and in the air. I 2010, by initiative of the organisation Circus Arts, the Circus Effects network (CEN) was formed. A network of seven countries and seven organisations with similar forms of expressions and a wish to share and develop the artforms of rigging and pyrotechnics. Thegether we have decided to create TOQQORTAT. A hybrid project of sifferent artforms and influences, a trip and a goal with equal values. Now the firsts artists has landed in nuuk – Greenland for the fantastic site-specific show in the Colonial harbour : TOQQORTAT! Three years ago CircusArts started Circus Effects Network – CEN (www.circuseffectsnetwork.org) for rigging, pyrotechnics as artforms, together with 6 organisations from 6 different countries. In collaboration with these organisations a grand, site specific show is created in the Colonial Harbour of Nuuk, Greenland, where Greenland’s National Theatre (Nunatta Isiginnaartitsisarfia) are the hosts. Greenlandic narrative tradition/mask face pyrotechnics, innovative air set-ups, ice, fire, clown and circus. This fusion of different elements will be something completely unique, especially with Greenland as the place for creation and venue. The theme will be based in Inuit history, present and mythology. Conflicts between modernity and tradition, between nature and technology and the impact of global warming is very topical in Greenland. To process these themes in a performance with a combination of spectacular expressions, some of which spring from the Greenland tradition, feels like a unique, joyous and important project. We will for example also work through different tourism associations so international guests will be inspired to visit the beautiful region. Very little is written about Greenland in the international press and when it is, it is mostly negative. Climate change, planned uranium mining, oil platforms, etc. We want to contribute to changing that image, and thus to help break the isolation that our collaborators in Greenland know. They are keen to welcome more tourists than they get today due to negative press and very expensive travel costs. 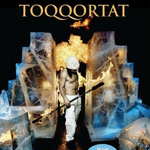 Participating in Toqqortat are a variety of highly skilled riggers, pyrotechnicians and experienced artists and also about 50 amateurs. Some examples are Greenlandic singer Kimmernaq, Makka Kleist, actress, director, dramatist and principal of Nuuk’s National Theatre School, and one of Iceland’s most famous actors and award-winning screenwriter Ólafur Egilsson. Nalle P Laanela is director and scriptwriter together with Makka Kleist. Nalle is the founder of Circus Arts and the fire/circusgroup Burnt Out Punks. He’s also the founder of the Swedish Clowns without Borders with whom he has toured many countries and spread hope and laughter among thousands of children in refugeecamps. He is also participating in the award-winning children’s show Drömställe, and is the director and star of the Moulin Noir. Project Manager is Wille Christiani, a skilled circusartist, rigger and pyrotechnical expert, and also founder of Circus Arts. Wille has for example participated as an artist in Lena Ph show, Robert Wells summer tour, Circus Cirkör and Burnt Out Punks. Also coming with us are Drakflygarnas Production who have been following us during this entire project and who’s work will result in a documentary.